Send fresh coffee every month. Let us know how they brew and how many months of Storyville. We'll take it from there. They will wake up thinking of you again and again. Get 30% off for a limited time. 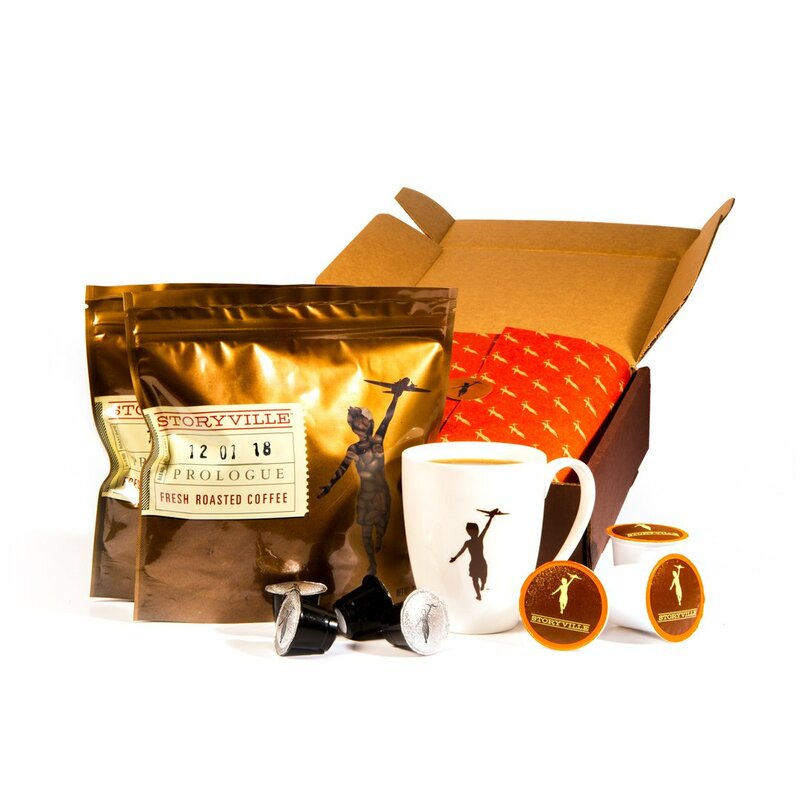 Share the Storyville Seattle in-shop experience with friends, family or yourself! The balance never expires. Select to ship it to you or directly to the lucky recipient. A daily reminder to love everybody. This modern unisex short sleeve shirt fits like a well-loved favorite. Eco-Friendly 100% Airlume combed cotton. Give the gift of Storyville Hardware. We've designed every step of the coffee journey - each piece beautifully designed and packaged to offer an exceptional brewing experience.